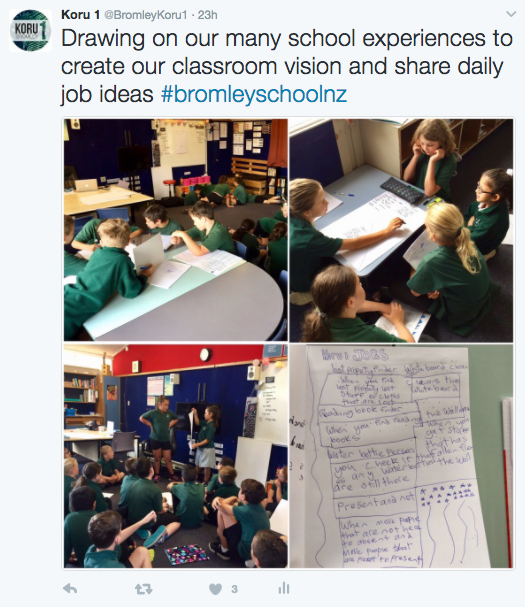 Koru 1 Bromley: Koru 1 - Who are we and where are we going? Koru 1 - Who are we and where are we going? We've had a really positive start to our year together in Koru 1. It's been great to see the eagerness of everyone in our learning community to lay the foundations for a successful year. In addition to some initial getting to know each other activities, we've been exploring what we want our learning environment to be like. It has been interesting making connections to all of our past experiences in school, thinking back to what we know works and doesn't work for us to get the most out of each day. 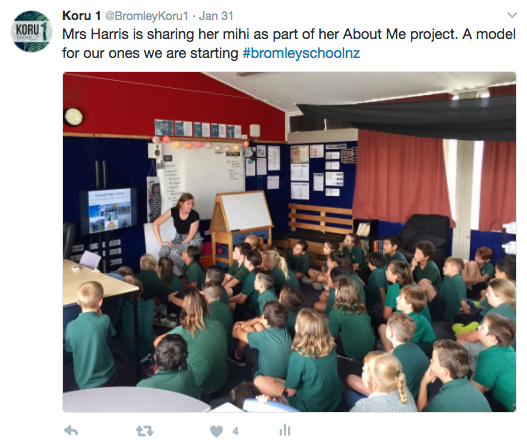 Both Mrs Harris and Mr K had put together slideshows about themselves, including their own mihi, that enabled everyone to learn a little more about the co-teachers in our class and to ask some questions of them. Who knew that Mrs Harris is an avid surfer? How cool! The teacher presentations were also planned to be a model for some 'About Me' projects we have all begun working on. We can't wait to see what others come up with and find out some interesting things about our peers! We're just finalising or class vision for 2017 (like a treaty or essential agreement) and 'growing strong relationships' is a key feature. I had lots of fun at all the thinks that we have seen this term we lrend a lot because of the thinks that we have seen. I think it was fun learning about Mrs Harris and Mr K,they have many simalarities (I don't know how to spell it) and many things that make them unique,and it was just interesting to listen to them,and it was fun learning about other people aswell,when we shared the about me's. I just like doing projects like that and listening/watching people present them.